Parking Public parking is available on site (reservation is needed) and costs USD 7 per day. This property is a 5-minute walk from the beach. 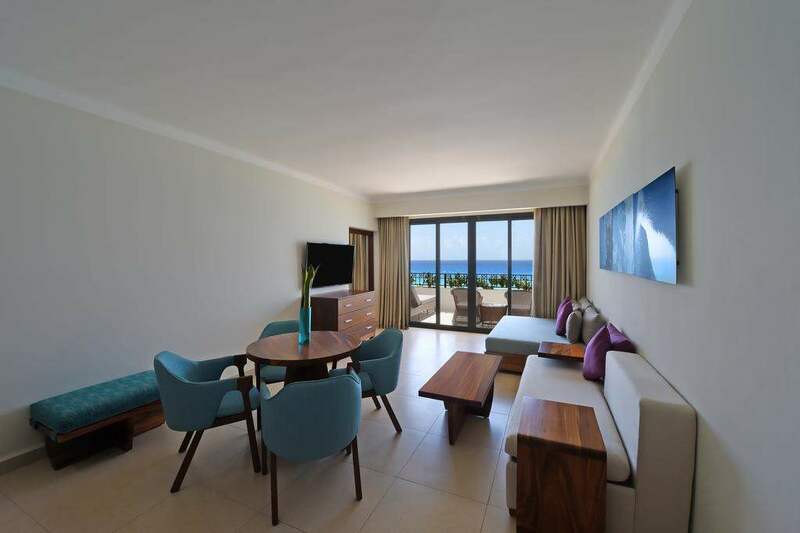 Located in Cancun's hotel zone, next to one of the city's most beautiful beaches, this property offers enjoyable facilities and luxurious spa services with great views of Nichupte Lagoon. The hotel offers several eating options, including Argentinian dishes in San Telmo, Trattoria and Pizzeria offering typical Italian classics, Sushi Corner, Cantina offering the Mexican flavour, The Grill to enjoy your meals while also enjoying the outdoor view, a children's option at the Pirate Ship and for the adults La Cevichería, where they can snack and sip a refreshing beverage while watching their kids play. The Deli & Gift Shop is a relaxing corner where guests can enjoy a cup of coffee, a pastry and a good book. 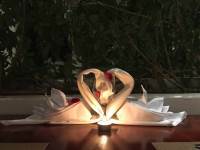 The Fiesta Americana's Miiluma Spa offers massage and beauty treatments. There is also a modern gym, and yoga classes are offered. A lovely hotel where each restaurant serves excellent food. 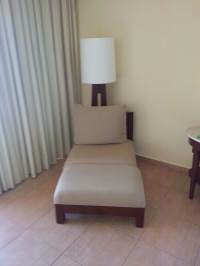 Rooms are clean and spacious and most staff very friendly. Main bar area does not have air conditioning and so was very hot in an evening, it would be nice to be able to go outside to have a drink but noting available after 6pm. Friendliest staff were in the Asian bar and restaurant, Alexandro always made us feel welcome. This resort is one of the best places which we have ever stayed at. Every year, my company organizes a staff trip for 2 nights at Cancun. As the lead member of the planning committee, I was tasked with the job to find a great resort which our staff would enjoy. 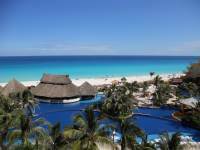 Upon my research I came across Fiesta Americana Condesa All Inclusive. The reviews for this place were excellent and thus I contacted the representatives to see if we can negotiate a good price. From viewing the prices online, I knew that it was a very far shot for us to stay here as the room rates were out of our budget. Nevertheless, I was in contact with the resort and they actually greatly lowered their prices to meet our budget. We ended up reserving a total of 44 garden view rooms. To our surprise, the resort ended up grating us around 15 rooms with Ocean View. They even upgraded my room to a Deluxe Junior Suite for no additional charge. I was really surprised at how friendly all the staff was to our group. Here is a quick summary of the Resort: Rooms: The rooms were all excellent. They were all cleaned very thoroughly and was always tidy. The beds were amazing. Our room had a safe, a minibar fridge that was always restocked, the view was excellent, and the room was very spacious. Location: The location of the resort was very great. We were only minutes away from the Kukulcan and La Isla shopping Malls. Just a couple more minutes pass those malls and you would reach the main party and clubbing area. 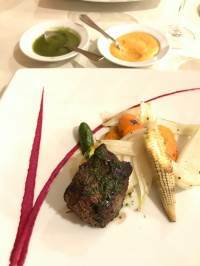 Food: The resort has a couple of restaurants and one A la Carte that required reservations. That Al a Carte was mainly steak served foods. I didn't have the time to go there but my co workers did and they said that the food was excellent! All the other restaurants were excellent as well. All the foods were freshly made and served. This is one resort where my wife really loved all the foods. Even the room service was so excellent!! 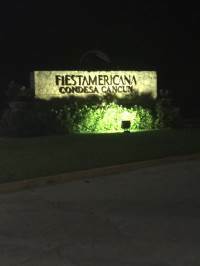 Staff: The staff at the Fiesta Americana Condesa was beyond great! From the people we dealt with in the negotiation stage to the actual staff at the resort, they were all excellent. The customer service is top class. Ms. Marian Gardnier was the individual who dealt with our price negotiations. She was great in helping us get the best price to meet our budget. Her assistant Ms. Maggie was very sweet as well. After the prices were settled, we were forwarded to Mr. Cesar Delgado, the Groups Manager. He is one of the most friendliest persons we have dealt with. He pushed for us to have several Ocean Views and even an upgrade to a Junior Suite when we haven't paid for any of those. He had it all well coordinated and planned. He truly worked with us up to the last few hours prior to the trip with name changes and room choices. We couldn't have asked for a better groups manager than him. The staff at the restaurants were all amazing as well. They even offered to make foods for us that were not even on the menu or buffet!! We recall 2 waiters in specific, one named Adrian and the other male who was so so great for us. We cannot remember his name particularly but he was super friendly. He served us on several occasions and was one of the friendliest persons we have ever met. Overall I can say that my experience with them was sub par. It was superb and beyond excellent. 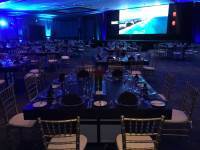 We will definitely return at the Fiesta Americana Condesa in the near future. First of all I'd like to state that everyone has an opinion as to what the best hotel is. 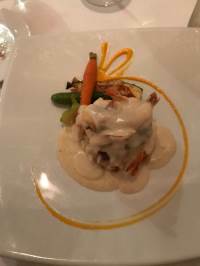 Here is my opinion and experience at the Fiesta Americana Condesa. I would like to thank the amazing staff which included chef Miguel who catered to my food allergies. Chef Carlos, Rosalindo at the bar, Miguel at the Italian restaurant, Javier at the sushi bar, Rosario who cooked our omelettes to perfection, Maria who always made sure our needs were met. Rooms were remodeled and we were quite pleased. Once again the service was superb. My husband and I had a truly amazing vacation and can't wait to for our next vacation. Thank You! My best friend and I stayed at this resort for 8 nights recently. This resorts deserves more than five stars. Amazing food, great service, stunning rooms, beautiful pools. Cannot fault. Will 100% return! Sadly only two days remain before departure. 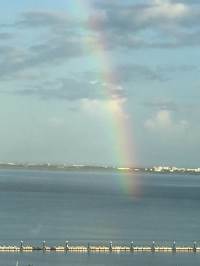 The day ended a little early due to the passing tropical storm. Sushi after the pool and steakhouse tonight. The staff are fantastic. The food is very good. 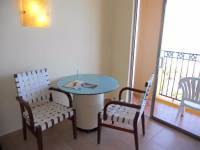 All inclusive is a great deal at this property. A special mention for Arturo who works at the front of San Telmo steakhouse. We have enjoyed his personal service twice and believe his desire to provide the best service is honest and true. 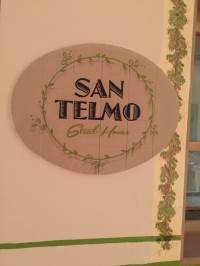 Look for Arturo at the San Telmo steakhouse. Enjoy! We stayed at Fiesta Americana Condesa from sep 23th to sep 30th (Mum, Baby boy and Dad), in general we had an amazing time.The occupacity was around 50%, which was perfect for us traveling with a seven months baby, we always found a chair and umbrella with no problem.But here where I start my review...We checked in earlier that the check in time, we didnt feel like any special welcome, maybe they were not waiting for us or we were early, but i have always thought that front desk is crucial when a guests are checking in because it is the first impression of the entire hotel, we didnt get any towels or water not that really matters but i read some people got those things, i cant say anything bad or good about the people in the front desk they were just ok, the check in was quick and we could use the room right away (because the occupacity was low). Something that they have to change is that they need to have the maps for the hotel in the reception, we just got a photocopy of the activities in the hotel and some other information in the check in, if you need to get a map you have to go to the concierge people that will try to get you into the time share meeting, we were lucky and avoid all this.For eating there are lots of choices: For breakfast the choices are the buffet which was good, the bread was soft and tasty, there were lots of options from the chef making eggs and quesadillas. 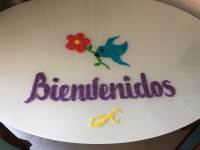 The other option is just like a corner place by the lobby they serve coffee, hot chocolate, champurrado and tamales, and at night this place is called “La cenaduria” that serves traditional mexican finger food. For lunch, the buffet is open again and the restaurant by the pool bar, we ate once there only it was good, they have seafood and other staff like chicken and beef. 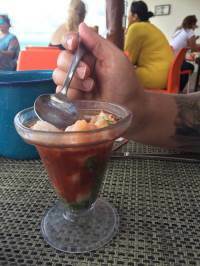 “La Cevicheria” is other option for the lunch it is only seafood, the food here is really good. If you like pizza there is a place on the upper pool área, the pizza there is really good too!! Also there is a place by the pool that has amburgers, hot dogs, nachos…For dinner:For dinner i believe they have four restaurants open, but you have to check because some of them close one night*.The options are Italian, Steak house, Oriental and of course the Mexican, for the italian and steak house if you are with kids the good news you can bring kids before 7pm after that it is adults only, the steak house is the only one that requires reservation with 24 hours in advance, i cant say anyhting about the oriental since we didnt go there, but the Mexican was really good, the food was great, and the service there was the best, we enjoyed it there, we ate in the Mexican restaurant three nights just because we loved it, we want to say thank you to Leonardo for his amazing service, He was very nice guy and profesional, he made an amazing dessert on our table which was very delicious!The lobby bar was ok, just another bar nothing special.The room was always nice and tidy and the people that clean it did a very good job, we are sorry for not having their name.In the room we stayed, we had a safe, fridge, an screen i believe it was 55”. The bed was confortable and the air conditioning worked perfect for us. The wifi worked very well even in the rooms, the only one side down of the rooms is that in other reviews you may read, the bathroom seems to have no privacy, because there is not like a proper wall it is just glass so if you are with your couple it is ok but if you are with your parents or siblings you wouldnt like to change there lol. 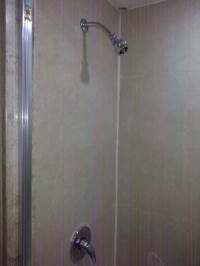 You can change in the bathroom where the shower is but it could be no the best place since it is wet from the shower… Other thing you can find in the hotel: Spa we couldnt take a service but it seemed to be busy, the gym is small but has all you need for your workout while holiday. Kids club (ages 4-12) we never saw it open, maybe we didnt go around the opening hours, all these places are located in the same area.There is a bar called “La cantina” which is a good place to hangout, it was empty all the time. Next to the theater is the teens club which i found a little bit weird for this club to be there since its a very quite area when shows are not going on. The hotel shop moved to the lobby area for some work going on at its location, prices as you could expect are more that anyother place you can think, we asked for a floatie for the baby and it was 450 pesos and we didnt buy it there because we were going to downtown for some shopping and went to wal mart and found exactly the same floatie in 147 pesos, 300 pesos less that in the hotel, i know that they need to make money but 200% more i think it too much, some nappies for the baby for the pool 350 pesos, outside in the farmacy 150, those are an examples, you decide if you want to spend that money, the bus cost you 12 pesos one way to the stores per person.The pool area is big and lots of umbrellas, there is an area special for kids with a pirate ships and sliders. We want to say a big thank you to Mr. Heraclio for his amazing service in the pool area, he made sure was always had a drink and a bucket with ice to cooldown our baby´s bottle.The beach is just amazing, the different blue colors in the ocean can be seen when its sunny and the ocean is calm, i hope you get the chance to see it, there is a beach bar on the beach but it was closed most of the days we were there.The entertainment people had activities during the day and shows at night, we couldnt make it to the shows since our baby was asleep by 8pm every night. Make sure you ask them about the activities, they have a workout on the beach which we heard was really good, yoga class by a profesional teacher. We found out almost at the end of our stay.We would like to thank everyone who was there for making our stay memorable.Some of the names we want to say:Mr Heraclio – Pool areaLeonardo – Mexican restaurantEnrrique, Israel, Choco and the girls from entertainmentAnd everyone who we cant remember their names at the moment, thank you!! !Now the one million question… Would we recommend this hotel?Yes, we would recommend it. Arrival at the hotel good. No problems with front desk staff and room was upgraded to king bed when we checked-in. View from room nice, able see pool area and small patches of beach and ocean. My favorite thing was sitting on patio and hearing the waves on the beach. The room did have some quirks but we weren't in the room except to sleep and prepare for our excursions. The air conditioner was really loud and would trigger the closet light to turn on every time it came on, then would bang when it shut off. The worst part was the day my husband and I went to the beach. We were lounging on our chairs when I noticed a commotion behind us up by the stairs to the hotel and some guys with backpacks motioning other guests to back up. Then somebody running away and hearing gunshots. I looked at my husband and told him we had to get off the beach. I grabbed our clothes and started running for the other hotel stairs. There was a man blowing a whistle and waving for people to get out of the water and off the beach. Everyone was scrambling to get to the hotel and most people were trying to hide in the bathroom of the pool area. There was a woman in front of me on the stairs with a child and her husband was still below and lifting their other child up through the ropes to him clear as shots continued to sound. My husband joined me at the top of the stairs by the bathroom. I couldn't hear anymore shots but still didn't feel safe. We escaped up the stairs to our room and locked ourselves in. After a little bit the music started back up in the pool area. When we asked later that evening at the concierge desk, we were told that it was a first occurrence and that they wanted the government to do something about it. Overall, the staff were great and friendly. No problems with food choices and plenty on bottle water supplied in our room. Nice hotel. Food is good. Also have activities every night. It's a good hotel for family trip. And especially the staffs are very friendly and helpful. I left half of my clothes in the hotel drawer and didn't realize one week later after I got home lol. I called the hotel and they were happy to check lost and found and verify my clothes. Berenice Moreno was very helpful to instruct me the procedure and mail those clothes back to my house. 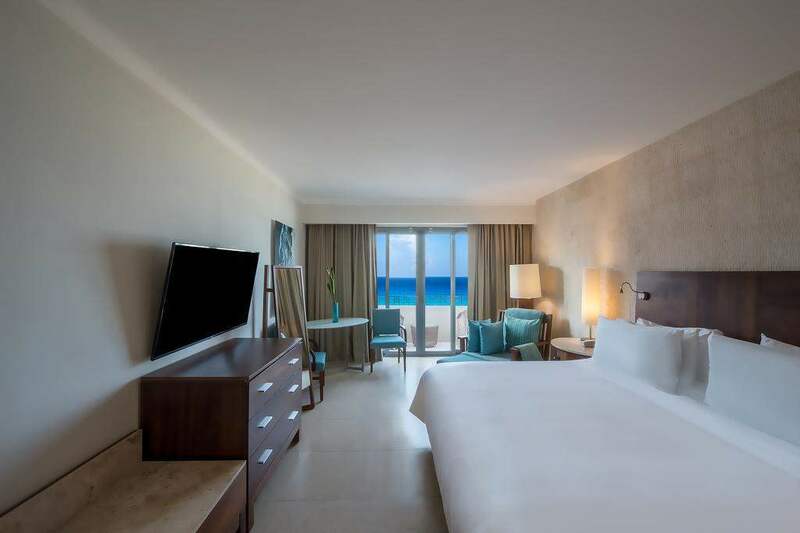 This is the best hotel in Cancun, By far the best and friendliest staff that will take care of all your needs to make your time there as special as they can. The new rooms are fabulous and well appointed with everything you need!! Housekeeping comes to your room twice a day so your room is always nice and clean!! It also has one of if not the nicest pools in all of Cancun. 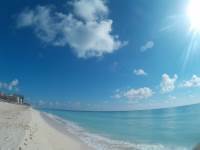 The beach is awesome with soft white sand and it is a very wide beach!! !The food is great with a lot of choices so everyone will be satisfied!!! They treat you like family and we have been lucky enough to make many friends with the staff who we stay in touch with all year. So choose the best all-inclusive hotel that also comes with a family feel!! 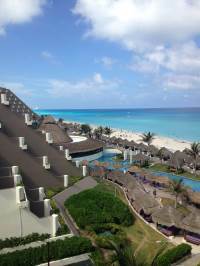 it was our second visit to Cancun and this time we stayed in 4* vs 5* hotel. It was a wonderful experience - the team there treats you as their guests, they try to make everything to please you and have a great time at their hotel. There are three restaurants - Italian, Steak House and Mexican. Italian we loved the most - our waiter there Jaime made every single visit felt us the special guests. The hospitality of this hotel made this trip to be the best vacation ever! 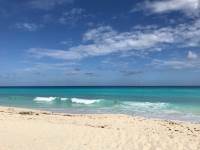 With so many resorts to pick from in Cancun, I hesitate to brag about this one too much because it is a bit of a hidden treasure. I almost want to keep it all to myself! :)First and foremost, the property is SAFE. Security does a great job of walking the property, observing guests and addressing issues promptly. The guest rooms are recently remodeled. The grounds are impeccable. 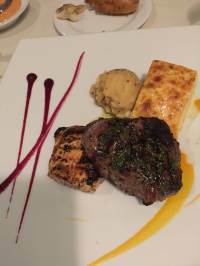 The restaurant options provide variety in both style and flavor. The beach is clean and beautiful. They continue to improve the property year after year to provide guests with selection and comfort.You can search up and down the Hotel Zone and find any number of hotels with a pool, beach and unlimited food & alcohol. But what makes this resort special is the people. Each and every employee greets you with a friendly smile and “Hola, buenas dias!” Having visited the resort several times over the last few years, we have grown quite fond of the employees at this resort and consider some to be our family. With that said, I can’t leave this review without mentioning just a few of the people who have made this trip (and so many others) memorable. Yes, I am one of those people that list out alllll of the names, but only because they mean so much to us and are a huge part of why we keep going back to FACC. I am certain that if you book this resort, you will meet some of the same amazing people who will make your trip to FACC one to remember!Lobby Bar – Pedro, Ivanova, Adrian, Jonathan, Eligio and MiguelCevicheria – Carlos, Efraim and RosalindoPool Bar – Rodolfo, Oliver, Nemias and FelixPool Waiters – Claudio, Jose, Angel and HeraclioEntertainment – Gaby, Freddy and AdrianRestaurants – JJ and JairoAnd last but certainly not least, Fernanda. From the moment we met her, we adored her. She has made each and every trip to this resort fabulous, going above and beyond what I could ever imagine another resort doing for a single guest or couple.I must confess that we have already booked our next two return trips!! We are hooked on FACC! Decent rooms, amazing staff (beyond the reception desk). 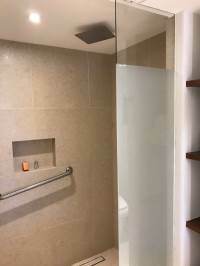 I recently stayed at the Fiesta Americana Condesa. Upon checkin we were given cold towels and bottles of water. Our room (King Lagoon View) was ready, but they were going to make us wait because the electricity was off (?) which amounted to the elevators not working. We ended up walking our bags up and readying ourselves for our first day. Please note, we were not given maps, any information about restaurants or pools, and didn't realize that was necessary until about day three as some places needed reservations, some had dress codes..To our dismay, the door didn't lock when we left the room. After about an hour of waiting and then work on the room, I tried getting a new room. Because the electricity was down (?) they still couldn't give us another room unless it was the adjoining room which was two queens. Being as I booked a king room, that was not acceptable and we continued to wait. After about 1.5 hours our door was retrofitted to lock after removing the housing on the wall and it being glued back. I didn't ask questions, it locked, we left. The maintenance worker that fixed the door was immensely helpful and kind. I was very unhappy with the interaction at the front desk, however.The rooms were very clean, very open, and well cleaned and taken care of from the cleaning staff. I concur with reviews that stated it wasn't ideal for people with privacy issues or who have problems with sound in relation to the bathroom. This wasn't an issue for us, but it's something to be made aware of. Pools and beach are nice. They have wait staff walking about for drink orders and overall it was very nice by the pool and ocean. There are multiple places to eat outdoors, but the best is really the pizza place. The tacos (to anyone that actually eats tacos) weren't great. Everything was fried and greasy. Only upside was the crab soup.We were very happy with the buffet restaurant. We ate in the room a few times and once at the dress code Mexican restaurant, but it was underwhelming. The staff in the buffet restaurant, especially Pedro, Angel & JJ were above amazing. They went above and beyond and I cannot express how kind and wonderful they were. Above and beyond, amazing and lovely people. The gift shop was in the process of being moved when we were there so it was a bit of a mess there, but I did have a lovely chat with the manager there and bought some beautiful earrings. The checkout process is strange for a first timer, and they don't explain that you need a bell slip to be able to leave the property (even if you're not leaving bags) so that could have been expressed slightly better. 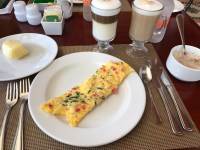 We had the greatest time on our honeymoon at Fiesta Americana Condesa. We made friends with the staff, everyone was so accommodating and willing to celebrate our honeymoon with us! 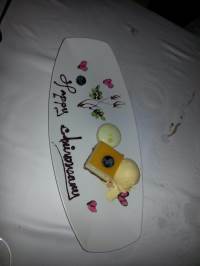 Every single night we had something new waiting for us in our room regarding our honeymoon. Unfortunately we had a couple of setbacks that were beyond our resort's control (fire next door- Grand Oasis and then the shooting on the beach) We will be back soon. Had a great time, very relaxing. 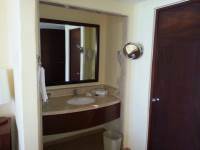 Rooms were clean, food was above the quality and taste of other resorts we have been to. The staff was polite and helpful. Pools and beach were clean and well kept. Entertainment on site was fun and entertaining. We been in the Deluxe room with view to the ocean.The room is very spacious , it has a big and comfortable bed with another sofa and a table with 2 chair.The bathroom is quite small and also the bathtub and the balcony is also very small and it is not comfortable to sit in it but the view is outstanding!The pool is amazing! There is 2 floors of pool, the upper side is more relax and has a great Jacuzzi and the down floor of the pool is the fun place with volleyball, bar inside the pool, restaurant and a lot of music, fun and games.The beach of the hotel does not have seats or beds, too bad because the beach itself is great, there is no sea leafs ) algae ( almost at all. 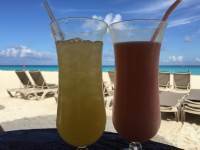 We visited the Fiesta Americana Condesa Cancun last week and had an amazing time! 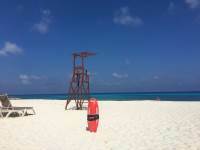 It was our first time in Cancun and we were a little nervous with the recent travel warnings. 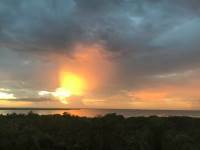 As soon as we arrived at the resort, all of our concerns vanished, and we knew we made a great choice! Check in was easy, despite a minor administrative error that delayed one of the rooms from being ready. Tony we were offered beverages immediately upon check in and were able to check in to another available room. The food here is absolutely phenomenal! 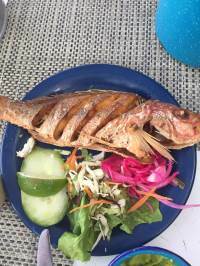 This is not your typical "all-inclusive" type resort food. Every dish is made to order and tastes incredible! The fish and shrimp tacos by the pool are so fresh! We ate and drank (even the water) at the resort all week and never had a bad meal or experience! The hotel staff are very friendly and really strive to make every guest feel like a VIP! Special shout out to the following staff for making our trip memorable:-Laura-Itzel-Tony-EduardoWe were sad to leave, but definitely will be returning to the Fiesta Americana Condesa in the future! Went for my niece's wedding! 4 days was not enough! The service was immaculate!The entire staff- shout out to Carlos at the Ceviche Hut were so helpful and the food was always delicious! Buses run up and down right outside so we went to town to the markets. There is a cool pirate pool for the kids! They handled the wedding with style and great music right on the beach! 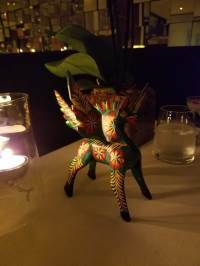 This is our fifth stay in Cancun-- but first time at Condesa! We cannot say enough great things about this resort. We plan to make it our new yearly vaca resort. Loved everything. Service is outstanding. We were in room844- top floor ocean view- absolutely beautiful! They made our anniversary of our engagement so special! We stayed 11 nights and were very relaxed and happy. You have to meet JJ at breakfast for his magic tricks! Also San Telmo is amazing. We loved Jairo- he made a special meal for us the second time we went and we were amazed! Again, this is a SAFE resort on the hotel zone strip. They care about the safety of their patrons and it shows. I highly suggest traveling to this resort. With all the warnings of traveling here- as in any town you have to travel safely and be cautious; however, we did not have to think twice about safety while at the hotel. There was an incident that occurred between beach vendors and we witnessed all of the hotel staff react quickly to ensure all guests were safe. 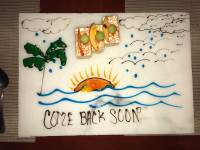 They go above and beyond to make your stay wonderful. Be sure to tip your waiters, bartenders housekeeping and others who help you out. They are worth it and it is very appreciated by all of them. They all are such very sweet people. We love this place. 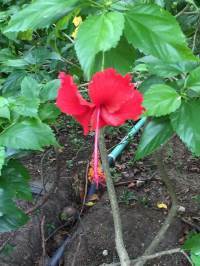 They have wonderful management and it shows in every single aspect of the property and staff. 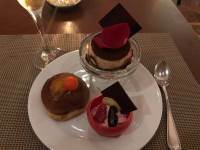 This was my 3rd time at Fiesta Americana Condesa. My husband and I stayed for 3 nights to celebrate our Anniversary (9/16 - 9/19). Upon arrival we were wisked away to VIP check-in with Berniece and promptly given champagne. She was so sweet and even let me switch my room to one with a balcony - no problemo :). We went to grab some lunch at Kalmia while we waited for our room to be ready. We had excellent service from Roberto and requested him each time we dined at the buffet for Breakfast/Lunch. It was our first time visiting Cancun during the low-season and it was actually nice not having to play the "towel game" to have chairs at the pool. The only negative thing is it seemed that the entertainment staff didn't do as many daily activities, such as water aerobics or quiz games, like I had seen on my previous visits. We were really there to relax, so it wasn't that big of a deal to us. Highly recommend the Miiluma Spa at FACC! It's beautiful and so relaxing! Drinks at the pool were promptly served up to us by Claudio, Eligio and Jose- the pool waiters. Can't say enough good things about all 3 of these guys! While all the restaurants are good, Rosato (Italian) was our favorite. We received excellent service from the hostess, Miley and our awesome waiter Luis! Also need to give a special shout out to Felix, the Bartender. He made me an awesome Old Fashioned! We had a wonderful trip and the newly renovated rooms are gorgeous! I can't wait to start planning our 4th visit! This hotel really prides itself on customer service and cleanliness! We visited this month for a week, On arrival the resort really impressed just as expected, the reception team could have been a bit more welcoming (When compared to the rest of the team). We were show to our room, you can tell recently refurbished, a few small attention to details in the finishing (builders snagging) but absolutely perfect for a weeks break for the two of us. Mini bar was stocked each day with soft drinks, water and Beers, which was nice and a room service menus that followed the restaurant opening times (so no naughty midnight snacks here). The resort was very quiet i believe a large group which was meant to be checking in didn't due to the awful earthquake in mexico city, which meant there were no struggles for sunbeds most of the time, a few days however the number of "reserved" sunbeds far outweighed the number of people we had seen in the resort, i think a few people had their day int he sun planned out around the pool. 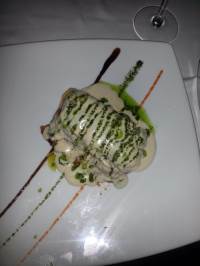 The restaurants are the most impressive part, the staff are always very warm and welcoming as well as attentive. 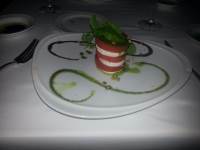 The food was great compared to most all inclusive resorts. The Asian restaurant near to the beach was our favourite, but all meals were great. The main bar really had no soul probably as it was based in reception area, they really could do with another lively bar in the resort something to keep you going into the night. Instead we opted for the local nightlife (maybe that is the plan to save you drinking on the all inc plan).All in all great. It made no impact on us, but i know some people really have issue with this but the resort is still undergoing a refurbishment, which meant after day one we were ushered in the staff entrance to enter the hotel whilst the reception was replaced, no big deal. Overall a great stay, just a few small points could turn this from very good to great, so much more to add, but already said enough. 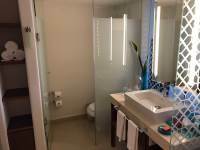 This is a very good value for money resort and you will not leave disappointed. Loved the hotel.. staff was very nice. We had no problems with our drinks. Room service was always prompt. Room was clean with comfortable beds. Italian restaurant was fantastic. I would suggest making reservations early in your stay for the steak house. We had concierge book us a trip to a club and they took great care of us from the time we got picked up until drop off back at the hotel. The Staff is what makes your hotel!!!! Wonderful experience. The hospitality was amazing- the service non stop. The food and drinks super. We had children with us and the resort was very accommodating and kind. A super thanks to Laura, with events, Ricardo who made our smoothies every day, Heirberto our server, Devid, Itzcal, and everyone who served us at the pool and at the Healthy Wrap shop! The ladies in the gift shop and Francisco in the Mexican restaurant! A great time. We can't wait to go back!!!!!!! We came back home yesterday after a nine night stay at the Condesa. 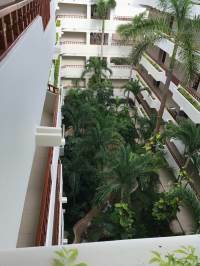 This was our very first experience in Cancun, and we were a bit nervous on whether or not we had picked a good hotel and safe area. 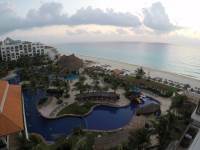 Well, I'm happy to report that the Fiesta Americana Condesa Cancun was an excellent choice that worked with out budget and offered us the full "all inclusive" resort experience that were expecting - and some bonuses that were amazing!When we first arrived, we checked in at the front desk. The gentlemen who greeted us there, Oscar, was very friendly and spoke English so well! Because we were in a new and unfamiliar country, it was very comforting to know that there was a staff member on-site who could speak very fluent English just in case we needed something. Oscar confirmed the details of our stay and and assigned us to a room in the Sun Tower (West tower, see below for my recommendation on which tower to stay in and why) and gave us our room keys. Shortly after, a member of the luggage transportation service arrived to our room with our bags in tow and brought them all in for us. The room itself was very nice. It is evident that the Condesa recently remodeled these rooms as they have a number of modern features and amenities that most hotels rooms we've stayed in do not, such as: Full tile floor, integrated outlets and USB charing ports in the walls of the bedroom next to the night stands, rainfall shower head (very relaxing! 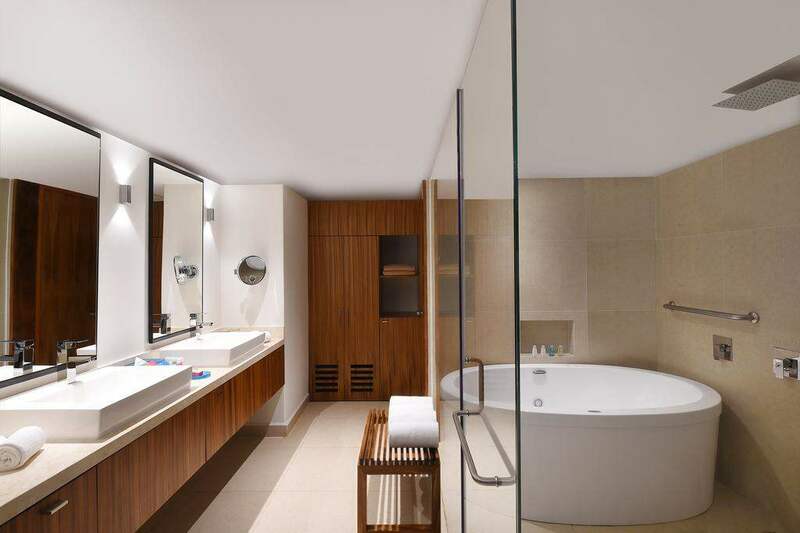 ), automatic sensor based AC control, in-room motion sensor to alert staff to knock before entering, raised sinks and many others. 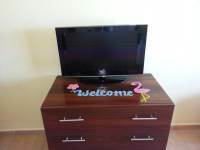 We really enjoyed having use of the minibar, which was included in our room stay and would be refilled once per night.We left our room daily to go and visit the pool and beach area. 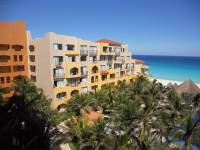 If you're staying in the Sun tower, the pool is a very short walk, The Condesa features a two-tiered pool with a slight water fall from the top pool into the bottom one. The bottom pool is larger and contains a swim-up bar, but the top pool is better for those looking for a bit more privacy as most folks congregate around the bar, and thus, the bottom pool. The bottom pool also features fun activities like volleyball, aquareboics and Zumba. There are two hot tubs in the bottom pool, and one in the top pool, so you can take your pick, but due to the heat, it was not a popular attraction.Once you arrive at the pool, you can pick a spot on any of the lounge chairs that haven't been taken already. If you don't see a towel draped across the lounge chair, you can safely assume it's available. From there, one of the pool servers will approach you to take your drink order. We had the pleasure of having Eligio wait on us for our entire stay. From day one, he was friendly, fast and attentive, and by day nine, he had memorized our drink order and preferences and would surprise us by bringing us some of our favorite drinks before we even knew we wanted them. He's a great, hardworking guy who has a very cool story should you stop to ask him about it - and I would recommend that you do!The beach itself is gorgeous. Since the Condesa is smaller than either of the resorts next to it, the stretch of beach that's available to guests is slightly smaller, but no less beautiful or maintained. Like the other resorts, the Condesa offers a full beach bar with wait staff who circulate throughout to bring you drinks on demand. The Condesa offers small shaded huts for guests seeking a reprieve from the sun at no charge, so we definitely recommend that you take advantage of them, but be sure to get on early in the morning, otherwise they will be taken quickly!One of the best surprises that we encountered at the beach was accidentally happening upon baby turtles who just hatched and were trying to make their way to the sea. It turns out Cancun is a hotspot for mama Turtles to lay their eggs, so you'll most likely see giant holes dug out in the sand from where eggs are buried! We had the opportunity to not only see baby turtles, but to help the staff of a local conservation organization release them at the beach! 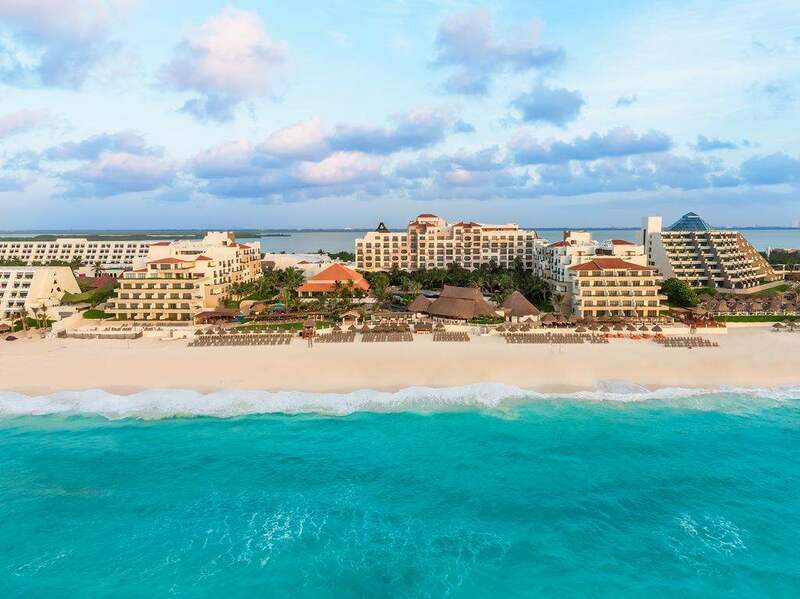 **Note: If you are interested in this activity, the Condesa concierge actually has this scheduled each night and appoints a staff member to take guests to help release baby turtles on the beach. It's included and all you need to do is sign-up!After a fun day at the beach, we would head back to our rooms to get ready to go out and eat.The Condesa offers many restaurant options for hungry guests. Since we have some dietary restrictions, we ate and some, but not all, of them so I'll speak to those. 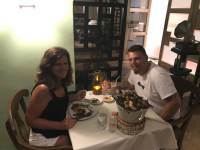 Here are our favorite restaurants:Kalmia - This is a buffet style restaurant that offers all day eating in a laid back environment, yet classy, environment and has MANY options with themes that rotate each night (Italian, Oriental, etc.). This was our favorite spot for breakfast and we had many dinners here as well; Italian night was my favorite. We also met Jorge at Kalmia and he was a very funny and delightful waiter!Rosato - An upscale Italian restaurant that serves classic Italian dishes. This restaurant enforces a dress code, so be sure to check the requirements before heading down. The food is great, however, and very beautifully presented. The wait staff at the Roast definitely take the time to help craft a tasty meal that left us feeling satisfied.Trattoria - This is a smaller restaurant this is tucked away in the corner of the pool area. This place serves pizzas, calzones, and other Italian baked or boiled goods. This is a great place to eat if you're wanting to eat outside in a very relaxed atmosphere.Kambu - This was the very first place we ate at after arriving. The Kambu offers a buffet style breakfast (very similar to Kalmia) but switches it up and offers and Asian fusion menu for dinner (after 5:30 PM). We had the opportunity to enjoy their Asian fusion dishes, and they had vegetarian options for members in our party who needed that option. We also met Angel at Kambu who was a great server and really helped welcome us to the resort doing our first night. Later in the week, we happened to see him again at Kambu and he remembers our family's name which was super nice! He was a great guy and an excellent server.And finally, to round off our experiences, we happened to discover the Condesa game room directly adjacent to the theater. It was there that we met Alberto and made a great friend. The game room is open to all guests and has ping pong, air hockey, and arcade games, in addition to the console systems like Wii, Xbox One, PS3 and others. It's a great escape from the pool-eat-drink-pool-eat-drink routine and allows you to have some fun playing games that you may have not played in years. We really enjoyed ping pong and playing the Kinect version of "Just Dance" on the Xbox 360! However, it was Alberto who made the game room delightful for us as he was able to interact with us (his English is amazing!) and enhance our experience. 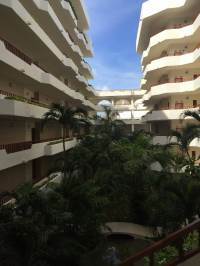 Great guy and super entertaining!Overall, the Condesa was an amazing choice for our first stay in Cancun and we're super glad that we happened upon such a great resort, with caring and attentive staff with all of the amenities on our first time. We had a great experience and already want to return. Great staff.. great food and drinks.. great time. We just got home and I had to put this down or I won't do it. All of the staff were fantastic. I had read about the fish and shrimp taco... did not do them justice, you have to try them then you'll know that they really are great. Great staff... Alejandro, Antonio, Hercules and those are just several. The rooms were always cleaned and kept neat by the staff. They came by twice a day and refreshed the refrigerator bar. The grounds were manicured every day. Today is September 21 and like I said we just got home 2 hours ago but I had to do this. We will go back no doubt. PRO: Super clean. Maids and grounds keepers are cleaning and maintaining the property it seems like 24 hours a day. Our room is cleaned multiple times a day. As soon as the maid sees we have lef the room, she sweeps in and cleans up after us. There was no dirt or messes in any of the public areas either. The pool was immaculate. The beach front was immaculate. The restaurants were immaculate. The public bathrooms on site were immaculate. Concierge/Front Desk. The concierge and front desk staff were really helpful. Anywhere we went and anything we did for the day, we were guided through it even if we didnt book through the hotel. Maps were drawn for us. Phone numbers and schedules provided. Food. There are so many option for meals. We stayed 8 days and didnt even have the time to sample everything. Even the pickiest eater will be full. Room service is available 24 hours a day and they will custom make you something not on the menu. Location. 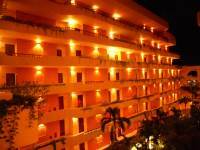 The hotel is in the heart of the Cancun hotel strip. The area is very safe. We even felt safe traveling around on our own with public transportation (12 pesos or $1 US). The police are very present in case you need help. CONS: Dessert. The dessert was the only part of the food options that was unsatisfactory for us. The only thing we enjoyed was the room service flan. 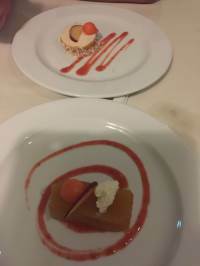 Everything else was a mixture of puddings, custards, and cakes with tropical fruit that didnt quite seem to fit the mix. Entertainment. Entertainment during the day consisted of a pool side DJ and morning exercises by the pool. I have stayed at other all inclusives that provided games and light competitions during the day for guests. The evening entertainment had much to be desired. The performers were skilled but the productions were way to small to be entertaining. 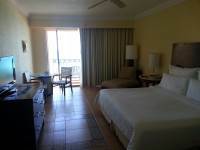 Great resort: Beautiful grounds and beach, updated rooms, nice sunset view from 4th floor lagoon view room. Excellent staff and drink service everywhere. 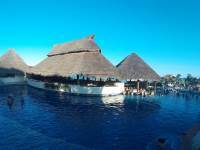 We enjoyed the food at the buffet, the ceviche bar, the Mexican place and the restaurant poolside - great ocean views for lunch! We'll come back, thanks for a great vacation. 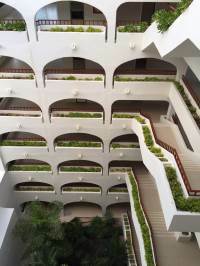 Just returned from an excellent stay at Fiesta Americana Condessa hotel, Could not fault anything, as with all hotels there are likes and dislikes. 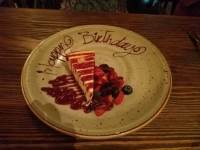 Rosato restaurant was the best for us, excellent food and service. Buffet was good for breakfast with plenty of choice. As we left, hotel started to get busier and we could see that the restaurants were struggling to keep up with demand, but they had pager system for restaurants if they were busy. Didn't do any entertainment, but it appeared to be short, 45-60 mins did not continue after the main show. There was music in the bar towards the end of our week which was relatively good. Rooms have all been renovated to a good standard, public areas will be next, this will complete this older hotel and bring it to a good standard. Far enough away from the downtown areas but easily accessed by taxi or local bus ($1). A little pushy with the timeshare, but we did the promo to get reduced excursion tickets. No hard sell at the end which was good. We would go back. My husband and I just got back from our trip this week. We were only suppose to stay for 7 days but since hurricane Irma came through we extended the stay to 9. We had a nice time, but would of liked better service & better food. There are some exceptional employees that did help make our experience wayyy better. Hector & Cecilia at check in were great. Hector was our first person we had contact with and he was very nice and had a great personality. At the end of our stay we dealt w Cecilia who was more than accommodating and understanding on helping us extend our stay. Our first night we ate at the Italian restaurant. We understood that this resort was a family resort, but some restaurants have hours that are only for adults. We purposely went during those hours to have a quiet dinner- we did not get that at all. There were already families there eating which was fine, but we did notice after 7 PM more families w children were being allowed in. That was kind of annoying since the restaurant is small and the noise level was very intense. I will say we went at the end of our trip and Jaime was our waiter. 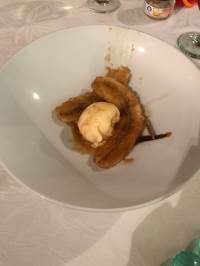 He did awesome- made a special dish for us that was not on the menu and table side bananas foster! 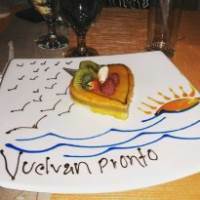 We even came another time with another couple - we all ended up getting the dish that Jaime specially made for us. From there we ate at the Mexican restaurant- it was terrible! And the service was horrible. Wouldn't recommend. Asian restaurant was yummy and our waiter was Angel- he is young and very attentive! So nice and totally recommend asking for him. He was the first person at any of the restaurants that gave us exceptional service! Now the beach- it was beautiful. Due to Irma coming through there were a few days we couldn't get in the water bc it was too rough. The man you need to ask for is HERCULES! (Not sure the spelling in Spanish) HERCULES gave us the best service every single day! He came w the best attitude even in the heat of the day. In the end he knew what drinks we wanted and how we wanted them. Plus he would help us get towels and let us know the events happening that day. If you going down to the beach make sure to ask for him. He will get to know you and give u the best customer service ever! 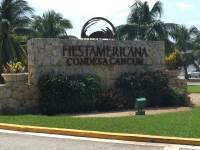 I highly recommend the Fiesta Americana Condesa in Cancun, Mexico! My family and I just got back from a five day stay and it wasn't near enough time. We went all inclusive which is definitely the way to go if you can. The only thing you have to deal with is tipping the staff. Loved the entire experience! We went there to get married. Everything was super nice and super well organized. Our guest were all also super happy. 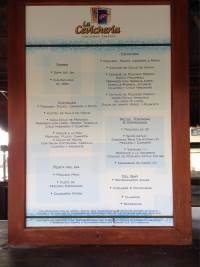 After one week at the Condesa we went to the Occidental at Xcaret where the service is clearly not as good as at the Condesa. It was our 4th time at this fantastic resort. 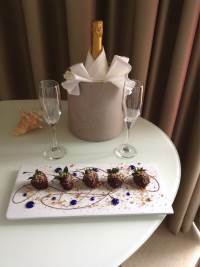 Once again, unforgettable !The brand new rooms at the Moon Tower are very stylish and comfortable.The restaurants are great, you can't make mistakes, whatever you choose.The most amazing thing is the way the staff cares about you to make your stay wonderful. Once again we are so grateful to Fernanda that is an amazing host, this is a huge plus for this resort.We will be back !!! Best Anniversary & Birthday trip ever! Great resort, our 4th floor lagoon view room had an amazing sunset view and was very quiet both inside the room and on the balcony. Pools and grounds are beautiful, lots of mature palms and shade. The beach is just fantastic, with plenty of chairs and great drink service. BIG surf Sunday & Monday due to the hurricanes, then it calmed down and we enjoyed hanging out in the ocean, riding the waves. Food was good everywhere - excellent fish tacos and shrimp cocktails at the Ceviche cafe, and tasty fajitas at the outdoor place by the pool. Best views ever to eat lunch with! Food presentation everywhere was so pretty, and the staff is so accommodating. I have a garlic allergy (tough in Mexico) and they were really good about grilling my food separately at the buffet, the Mexican place and the outdoor places. If you're there for a celebration, tell them when you check in. 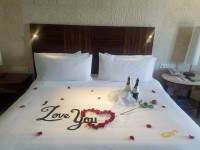 They surprised us with champagne, messages and a decorated bed with rose petals - made us feel really special. 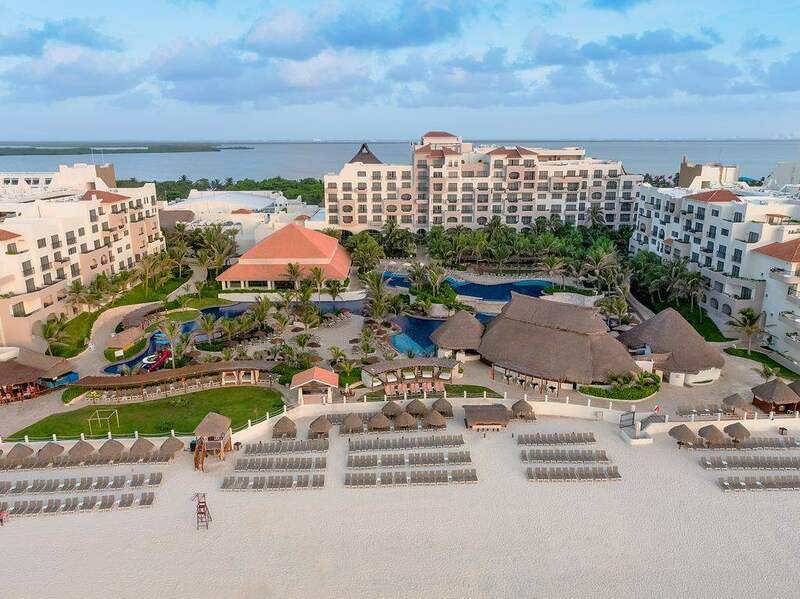 We've been to Cancun numerous times and always tried a different resort, but I think we'll return here. No excursions or shopping trips, we just stayed "home" and relaxed at the swim-up bar or the beach. If you're there when Acro Dance does a show, GO! Those guys outdid any of the AGT acts we've seen lately. Great vacation, y'all go here! The resort was very beautiful. The staff was very friendly and promptly took care of any requests. There were lots of activities every day that you could choose from, or do nothing and relax by the pool or the ocean. I would highly recommend this resort and we are definitely coming back again. The food was good, drinks were fine. Ceviche was spectacular. 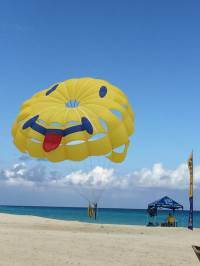 Very easy access to sign up for water activities parasailing and boat ride on lagoon across the street. Jet ski on ocean. Wish there were more hotel activities missed Michael Jackson show that was Thursday and if pool bar closed later than 6. Nice family resort. Staff was pleasant. Showed us the turtles at night going back to sea and the baby turtles (wish I got his name). Information desk was helpful with shuttle back to airport. Efraim, Pedro and Sandro (I believe) were sweethearts. 10 minute ride to downtown $1 bus. 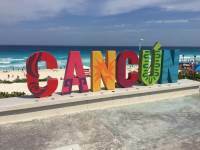 After a miserable 3 day stay at Riu Cancun we realized we would be stuck in Cancun for an extra 5 days due to the hurricanes (flights canceled). We were upset and found ourselves with no place to stay because Riu told us they couldn't accommodate us. They told us they had no rooms available and offered zero assistance. Someone recommended Fiesta Americana so we headed that way. Upon our arrival our trip immediately took a turn for the better. The front desk personnel accommodated us immediately. Because we were stuck in Mexico due to catastrophic events - we were give a tremendous discount to alleviate financial stress. Thank you Fiesta Americana, you have no idea how much that helped us! The hotel grounds - Beautiful! So clean! Staff was extremely friendly and accommodating. Food? Exceeded my expectations. Delicious food...everywhere! We greatly appreciated the shows hosted nightly in their Theatre. Mexican Night was our absolute favorite. Thank you for taking pride in the Mexican culture. One thing that I was able to pick up from the very beginning was that this hotel made you feel like you were IN Mexico. Mexican entertainment. Mexican music. Mexican food. All day everyday. This is what I was in search for when visiting Mexico. If I wanted American food and entertainment - I'd stay in the States. Now on to the main reason why I came to leave a review. Their beach staff. I can't say enough about these folks. They made my what started off as a crappy vacation - a FABULOUS one that I will remember forever. Heraclio (Hercules)! Claudia! Fernando! And Felix (poolside & cantina). Please give these people recognition. Fiesta Americana - you should be proud to have these people as employees. They are truly genuine people. They went far and beyond for us when they didn't have to. We left Cancun with four new friends for life. 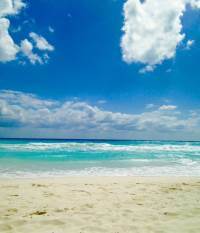 This was my first trip to Cancun and after my first few days I was certain I wouldn't return. But, after staying at your resort - meeting your staff, enjoying your food and entertainment - not only will I return but I will tell everyone I know how amazing your resort is. Recommended perfect place to relax and enjoy the beach. The service is great and everyone is extremely polite and helpful. The Spa was awesome. We are definitely going back! 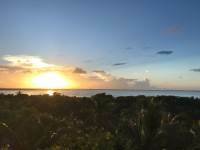 It is perfectly located close to everything but yet secluded. It was our first time traveling to Cancun and I am so glad we picked this hotel. Our trip include my husband and our two children ages 12 and 4. 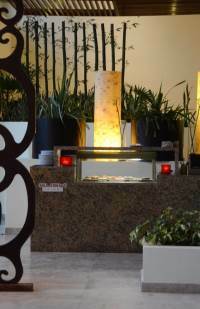 Upon checkin you are explained all the amenities the hotel offers and you are also told about the different restaurants. I really appreciated this. Heads up that one of the restaurants does require men to be in a dress shirt and women to be dressed up as well. That brings me to my next part of my review. Since my husband didn't have a dress shirt we mostly just stuck to eating at the Buffett and cevichera next to the pool. I was SOO happy with both. Both places were so delicious and all of the staff was so good and attentive to us. Literally every single person at both restaurants helped us and tended to us so well. Our kids enjoyed the pool and loved being able to order smoothies and food poolside. I really enjoyed that the beach area has chairs and shade available to lay out. The beach tide was a little to strong to enjoy as it knocked us down everytime we tried going in. Although it was very beautiful and picturesque. Overall the trip was great and we are planning our next trip there soon. This resort was outstanding. The staff, food, and service was my best experience ever. Want to go back again.The resort is located close to bus stops that can take you to malls, markets, and other beaches.I wish I would have known about this before. They are grooming this place 24/7 without bothering you, been noisy or even seen. Food is excellent in all restaurants and we never had an issue. Gabo, from Lomas Travel, did amazing. He never lied or promised something he couldn't do. He fought for us for getting the best prices in tours and when we wanted a night out, he even sent us to a club for free. The girl who presented the Margarita Class on Friday in one of the two Mexican restaurants and the bartender were great. The staff is extremely sweet and always there for extra towels, extra water, they run to you in a heartbeat. They could provide a little better wifi, and personally I would prefer it adult only but it's not a red flag for me. 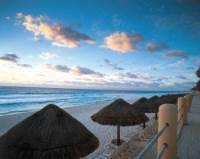 Would highly recommend Fiesta Americana Condesa Cancun. I like to plan my travels for September and i'm so glad we timed our vacation perfectly this year. We arrived at this wonderful place on a Monday and from the moment we walked in the staff was so gracious and helpful. The staff is amazing! I know it's all-inclusive but we tipped because they work very hard to please everyone. The room was very clean and the view on our balcony was beautiful. We caught the sunrise twice, it's worth waking up early to snap a few photos. 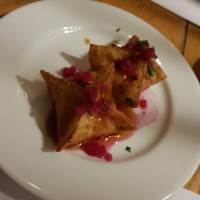 There are plenty of choices when it comes to dining but we loved Rosato the best. The pools are wonderful with plenty of choices for seating. This was my boyfirend's first trip to an all-inclusive so he thought he died and went to heaven....the massages at the spa pushed him over the edge! We are planning on going back next year. You'll love your stay here; I highly recommend this hotel. Here now. Great hotel! Service matches that of Secrets Resorts. My husband and I travel 2 times/year to Mexico and have stayed at Dreams, Secrets, and Live Aqua chains. This vacation is turning out to be an absolute favorite. Service is outstanding. Food is varied and you can't go wrong with any selection. Especially love the fish tacos and scratch made quesadillas. Drinks are made same way no matter which bartender makes them- all great!! Staying in room 374 which is beautiful and convenient to all. Resort is small, but well planned out. Special shout out to Gabriela, Laura, and Ramirez! Can't wait to see what the rest of our stay brings. Come here, you will be pleased! 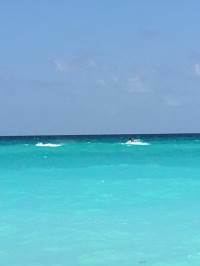 My boyfriend and I stayed 5 nights and 4 days at the Fiesta Americana Condesa all-inclusive hotel in Cancun during mid-August 2017. It was our first time to Cancun and the first time staying at an all-inclusive for both of us.Overall our stay was outstanding. Here's why:Staff (5 out of 5): Everyone working at the hotel was incredibly friendly and helpful. The housekeeping staff kept our room amazingly clean throughout the day even when we inadvertently brought a bunch of sand from the ocean into the room on our feet and suits. The housekeeping staff also left us fresh bottles of water throughout the day that we really appreciated given how hot it was outside. The wait staff at all the restaurants, bars and at the pool were excellent. At the pool, the wait staff would come by our chairs regularly (but not too regularly) to check on us.Room (5 out of 5): We had a ground floor room with a view of the pool area from our little patio. It was lovely and we never heard a peep from anyone in the surrounding rooms.Food and drinks (5 out of 5): The food was excellent. 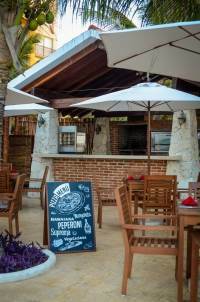 We would highly recommend the cevicheria by the pool area. We had lunch here every single day because the ceviche was so fresh and delicious and it was super quick to get our food. And the staff here was again incredibly friendly and inviting. At El Mexicano we had some of the best food we've ever had and the staff was so gracious and attentive. The food and service at the Italian restaurant was also very good. Throughout the hotels restaurants and bars, the mixed drinks were light on the alcohol but delicious nevertheless. At the end of the day, we actually liked that they were light on the alcohol so we could indulge in more drinks throughout the day without ever feeling unwell.Activities (5 out of 5): Even though we supposedly traveled to Cancun in the less busy season, the hotel was bubbling with activities all day long (there were also tons of guests there too). Whether it was water aerobics (with a super fun and hilarious young male teacher), beach volleyball, beach soccer, ping pong or salsa lessons, something was always happening. There is also a little hut where you can purchase excursions. We decided to do the 3-excursion deal for $140 (+ tax) per person. You get to pick from ~8 different excursions. We decided to do jet skiing, parasailing and the jungle boat ride/snorkeling tour. We would recommend all 3 activities, especially the jungle boat ride/snorkeling tour. This was outstanding. You get to drive a litter two-seater boat that goes fast. Following your guide and the other people in your group, you drive your boat for ~20m through the laguna area between tree-ed areas to the snorkeling destination. The snorkeling was so-so but the boat ride was outstanding and our guide Omar was great. It's also important to mention that the people that sold us the excursion package at the hotel were very friendly and did not pressure us at all. Area (4 out of 5): The reasoning for the 4 is because there really is no place to walk to outside of the hotel. Luckily you really do not need to leave the hotel for anything but if you were staying for more than 4-5 days you might want to venture out. The area as far as the beach goes, however, was outstanding. Negatives: The only negative, which I'm sure is a negative for all hotels in the area, is that if you run out of sunscreen like we did you will have to buy some at the hotel shop and it's really expensive (we spent $25 on a medium sized bottle).We would love to make another trip to Cancun and we very well may stay at the Fiesta Americana Condesa again just because we know we will have a wonderful time there.Thank you to all of the hotel staff who made our stay so relaxing, fun and memorable. 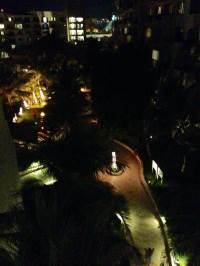 I highly recommend the Fiesta Americana Condesa. We were greeted by name upon arrival in the beautiful and huge entry way after passing through security at the gate. We sat and went through check-in where we were immediately offered a beverage - kicking vacation off to a great start! Our room wasn't to be ready till 3 but they got us in at 1pm so we went and had the delicious fish tacos down by the ocean and got into our room early. The rooms are great and I was surprised how quiet they are. Normally you hear doors slamming or people and we heard none of that. We had a premium ocean front view and I highly recommend that because we enjoyed a balcony. The room service and included mini-bar was wonderful along with all the restaurants. I highly recommend the sushi bar in the evenings - DELICIOUS! The staff was attentive and wonderful. Suggest making sure you have $1 to tip before arriving as their aren't many ways to make change. This resort is amazing! Great for family vacation, friend vacation, couples get away!!!! Uri & Xavier are the best employees at the resort!!!!!!!! They were so entertaining by the pool! There are so many un activities by the pool! Like zumba, water aerobics, and crossfit!! !